Everyone is creating a smartphone app these days. Quickly browsing the Travel section of the Apple store reveals there are applications for just about everything; flight schedules, money journals, foreign language translations – there is something to meet every traveler’s need. So which one’s should you download for your next trip? Here are some that my friends and I think are worth downloading. 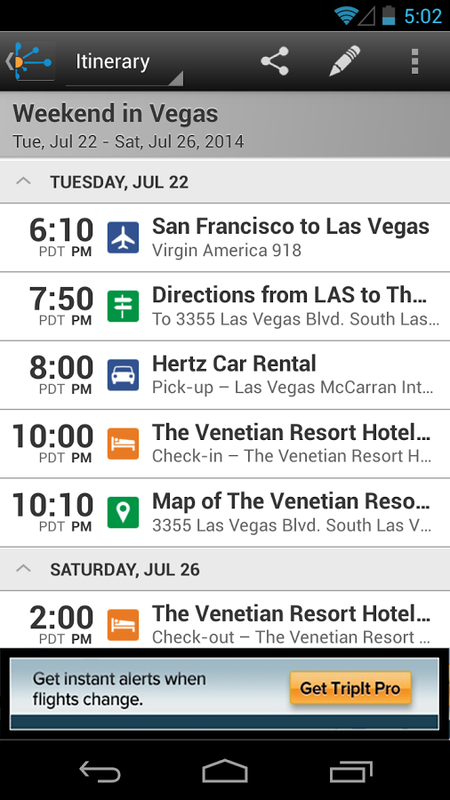 Create your very own personal, pocketable itinerary you can read offline – perfect for an epic roadtrip! Creating an itinerary is literally as easy as clicking “Add activity”, and then adding the information about each new activity. The app has FourSquare integration, so it stores the address and phone numbers of each place for you as you type to add the location name. 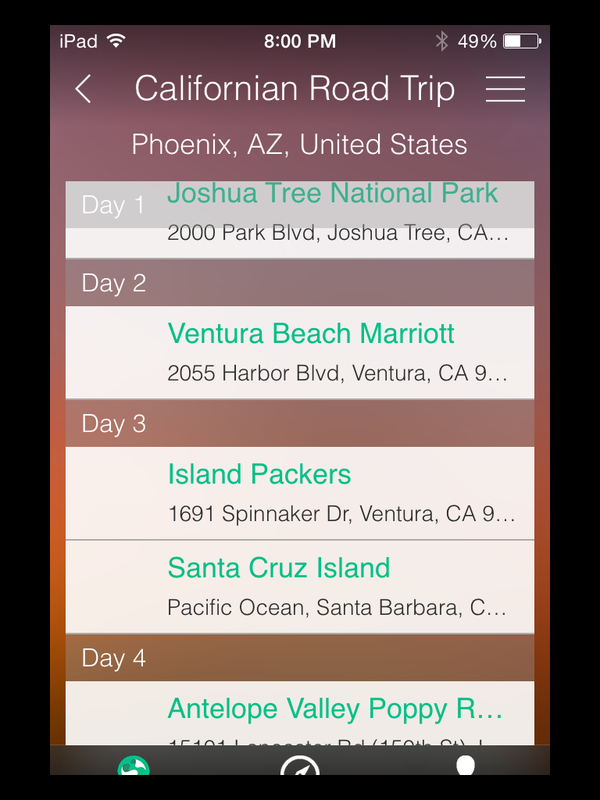 Add the location name, the time and date, and any notes you have about that specific place, and TripVerse throws everything into one easily accessible offline itinerary viewer that removes the distraction of carrying paper itineraries for travelers. The beauty of this app is that once your activities are added it includes map functions with directions, and you can cache the maps to be available offline – all for free! The Discover function lets you explore trips made by fellow travel enthusiasts and Facebook friends. Looking for general tourist information about places you’re going? This app is an amazing guide which includes a map overview of the country you will be visiting, as well as detailed city maps. Guides for major cities are included with information about all the major sights and tourist attractions, as well as a database of restaurants and different options for nightlife. Download before you travel – if you find yourself out of range, the maps and guides work offline! Have you ever been traveling & just wanted to find a good place to run, walk or ride? Or maybe you had a workout to do and would enjoy jumping into a local group’s training session if only you could find one? Localeikki is the answer. This app is a database of recreation locations that are publicly accessible and locally recommended. 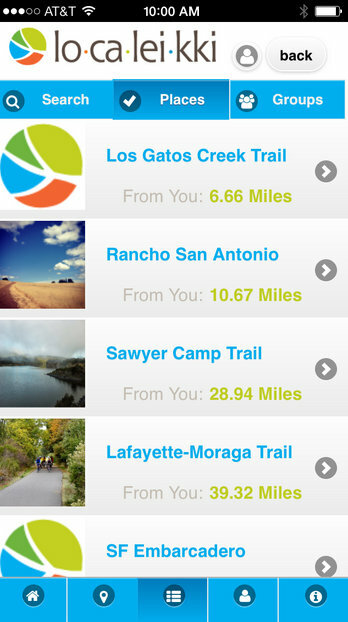 Input an address & your activity choice and localeikki will find local running/cycling locations others have shared. Not only will you know where to go, you’ll also know what it looks like & what amenities are available (e.g., bathrooms, drinking water, parking). Users have access to upload their own unique routes, details, photos and groups to the database and even add their own tips, images and statistics to existing routes. Sometimes when you travel it’s hard to keep up with the money flying in and out, and going back through receipts on your return can be a nightmare. 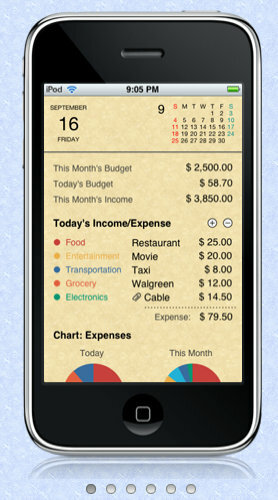 This app holds our daily budget and is great for checking out the credit card statement against. Best of all my phone is always on me so I never forget to add even the slightest purchase like that 75 cent taco in Mexico or that $1 strawberry daiquiri in New Orleans. 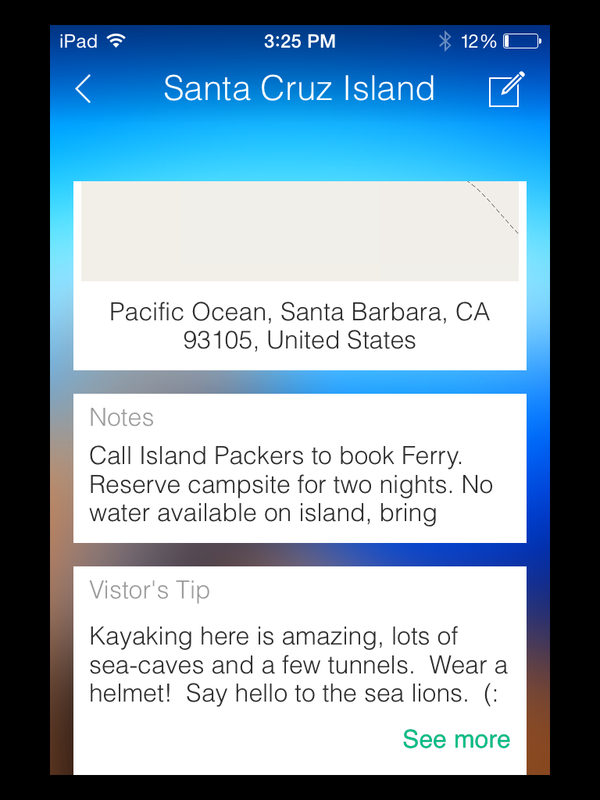 App recommended by Family Travel Bloggers Travel With Bender. Have you ever been on the streets of a foreign country only to realize you have no idea what all the signs mean?! Sure, the graphics on the sign may help, but there’s no way to know for sure the intended meaning. With World Lens it’s extremely simple. Open the app and use it as a magnifying glass over the text, and voila- the sign is now translated into your language of choice. A bit pricey, at $5 a language, but being an invaluable tool I feel this is a fair price. Do you really want to get out your translator every time you see some unknown text? 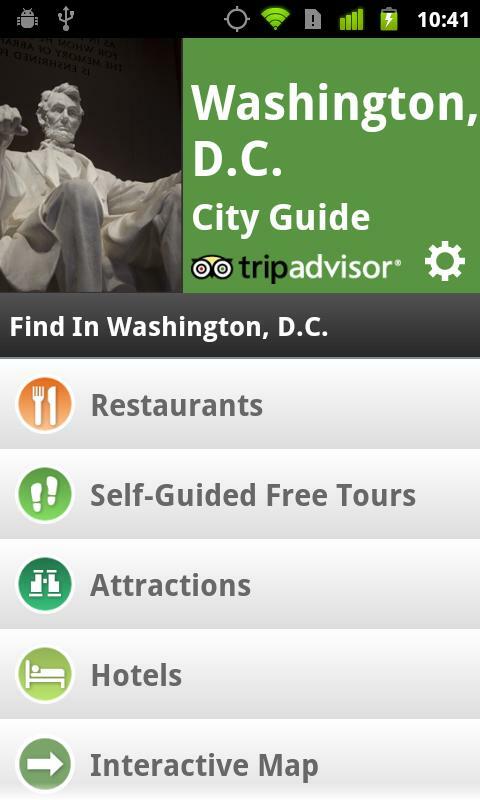 I recently fell in love with the “TripAdvisor City Guides” app and now won’t travel without it. Once you download it, choose the city, then you can basically search for anything, from hotels and restaurants nearby, to suggested itineraries. Just like TripAdvisor online, which is my favorite source for travel information, everything has reviews and ratings so you always know what to expect before going somewhere. It also includes background information about the city you are in, transportation information and sample walking tours. The maps are fantastic and you can use them offline. There are a few features I haven’t even used yet, but seem great as well. One is the “postcards” section. Snap a photo, choose a filter, and then the app puts the image into a cute polaroid frame with the date and location. You can then easily save it, or send it to family or friends. Fun! App recommended by travel blogger Jessica Wray of Curiosity Travels. This travel app follows multiple time-zones around the world, including custom-built locations. 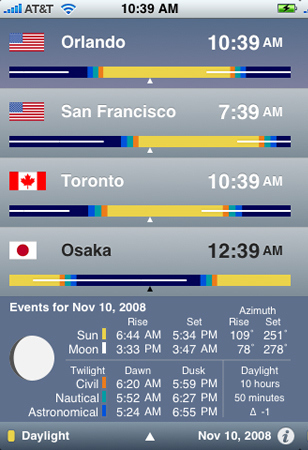 Just as important to photographers ready to go out at the “blue hour”, the app tracks sunrise- and sunset- times, as well as moon phase and moonrise-moonset-times. I might be out of astronomy, but apparently, astronomy never left me! 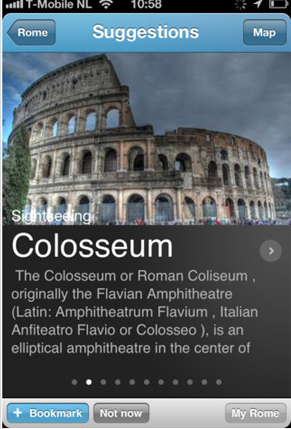 App recommended by Travel Photographer Henry Lee of Fotoeins. Exclusive Travel by Haute Compass. Free. This app contains more than 1,000 recommendations for hotels, restaurants, bars & cafes and shops in London, Berlin, Copenhagen, Milan, Hong Kong, Dubai, Stockholm and the French Riviera. Use the app for city travelling, to know what is recommended in the nearby area when on the go, and also for finding interesting venues such as restaurants and bars when arriving in a new city. From the app you can also link into longer reviews which is great if you are sitting in your hotel browsing and want to know a little more. App recommended by Swedish avid traveler Malin Lundberg Müller of Haute Compass. With a complete freemium version, you can keep all your trip details in one place and access the info without even being online. It’s clever enough to offer you the maps from airport to hotel for example and the whole process can be automatized. That way, anytime you get a booking confirmation in your designed mail, a trip will be builded in the App. Easy to configure, what’s not to love?! App recommended by Inma of A World to Travel. James Fees from The Savvy Backpacker recommends the similar Stay.com app. Since I have absolutely no sense of direction, I rely on the app HopStop to navigate cities like London (and embarrassingly, even my home city of New York). 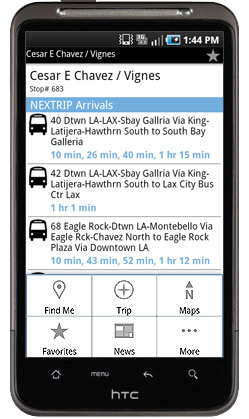 I love Hopstop because it not only provides you with all the different transit options and journey times, but it also gives you a door-to-door map showing you how to get to the closest tube, subway or bus stop, based on your current location. 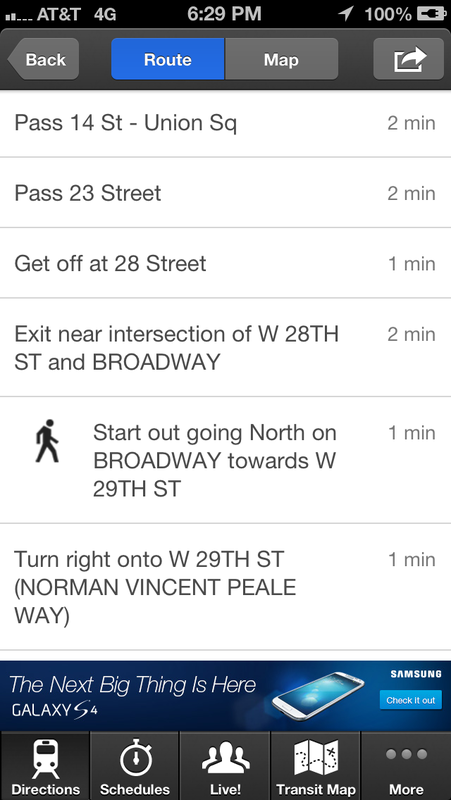 HopStop doesn’t cover every city yet, but it’s a must have for New York and London. App recommended by Kristin Francis of Souvenir Finder. My favorite travel app, this public transportation app can be used to navigate through the trains and subways in several cities around the world. It’s free and no Internet connectivity is necessary. The transport maps can be downloaded before trips. The app covers over 400 cities worldwide. We love that it worked offline and gave us the number of stops and transfers between our originating station and destination. It also gives options for the shortest route or the fewest transfer route with corresponding color lines for the trains. It ensures you’re going in the right direction indicating the next station stop. Just determine your subway/train stops near your origin and destination in case the places of interest don’t show on the drop downs. We’ve used this to optimize our routes and it hasn’t gotten us lost yet. App recommended by Mary of The World is a Book. Awesome post! I love travel apps and I can there is loads more I need to discover and utilise! Thanks Erin! There will always be something new to discover and utilise – agreed! Hard part is keeping on top of it all!! Hey Megan! Thanks for featuring us and for all the tips here! This list is an awesome time saver and I’ll download a few of them I had no idea about before reading it now! Thanks for providing a great recommendation! Glad we could all band together and pool our knowledge to produce a great guide! Happy travels! I also use XE currency converter,as you can add as many currencies as you like. Another great thing is that there are maps of all subway systems of major cities very very useful. Also Agoda.com and booking.com for hotels and hostels. Great recommendation! Thanks! I love using XE Currency on Google but had never thought about downloading an app for it – what a help! Great round up of travel apps! Looks like I’m missing some really good ones that would make my life during travel so much easier like TripIt. I better download them now! Some great apps here – particularly love Metro, since I’m a bit of a subway nut (although unsure of when I’ll be able to experience one again, being in Central America and all). Oh, and another shout out for XE – multiple currencies can be very handy when traveling. Good luck and safe travels! Megan, thanks for including me in your post. I learned about some new apps I hadn’t known before! Thanks Henry for a great recommendation! Glad you could pick up some further app ideas! And thanks for your great suggestion as well :) Here’s to making life and travels a little easier! Please let me know via email if I can provide you more information. Thanks for the tip Robert! This is actually great as I started writing down my packing list in a word document last night which is fairly tedious to maintain! Wikitriip is the best app I’ve ever downloaded! It’s wikitravel offline! Awesome! Thanks for the recommendation Nigel!